It’s been a tough task trying to find a sharpening tool that’s easy to carry around. Various models for professionals are just too heavy. On my quest, I have also heard of Smith’s products. After more trials, I decided the PP1 Pocket Pal is my tool to use. It has a carbide and a ceramic phase that make for a complete fix for most blades. These are good for touch ups as well. I enjoy so much that I can fix now even my own mistakes. I tend to be in a hurry and mess with the blades. It’s because of uneven pressure and other errors I make. If you are like me and often damage your blades, don’t worry. This solves it in no time. The carbide part of this sharpener will work when a blade is damaged. It can discard a burr or remove a nick. You may use this extensively. Also, if you somehow compromise the edge, this can fix it. Be careful though, it is quite rough on the metal. Use it wisely and sparsely. It will have a long life, dealing with many sharpening jobs if you properly care for it. One major advantage with this little kit is that you don’t need any skills. It’s that intuitive. However, you have to be careful about the pressure you apply. The force is the only aspect you must be careful about. Medium force is advised when using the carbide stage on the blade. Pull in a somewhat heavy manner. The same goes with the ceramic part. Also, pull the blade 10 times through each for best results. Let your moves become lighter as you approach 10. If you go too heavy on it, you risk taking up too much of the steel. Watch this YouTube Video on how to sharpen your knife using Pocket Pal. More suitable for thicker/heavier blades. 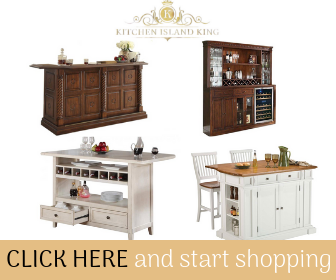 Over 2,000 customers have given their opinion on it. Judging by this, the PP1 Pocket Pal does fare as one of the most popular products of its kind. This alone makes it a great candidate. In spite of that many ratings, the overall score stands at a 4.3/5 stars. Impressive! Its small size is well appreciated, as are its carbide cutters. Users are advised not to apply much pressure. Otherwise, it could become unstable. Also, it may take up a lot of metal when not careful enough. The results won’t be razor-sharp; yet, if used correctly, the device never lets down. Certain blades become sharp enough even before the carbide stage is reached. Diamond coating on the rod does not last very long.In other worlds, the results are up to the user – to their common sense, more precisely and don’t expect big for a $8 tool. 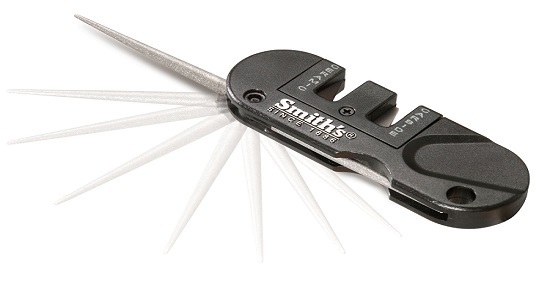 Smith’s compact innovation is a good choice as an all-around sharpener. Better than Smith’s similar gadgets, it gives the user a good feel of the blade. It is suitable to the less skilled out there and is so convenient to carry around and thus Smith’s Pocket Pal PP1 is ideal for your survival and pocket knives and keep in mind that you get what you pay for. Thank you for this great and in depth review of the Smith’s PP1 Pocket Pal Multifunction knife sharpener. I have been looking to purchase an electrical knife sharpener for a couple days now, and was going back and forth among the different models that chef’s choice have available . The Smith’s PP1 Pocket Pal Multifunction Sharpener used to be my favorite.I would like to congratulate you for this great video tips. This advice will definitely be useful to me.